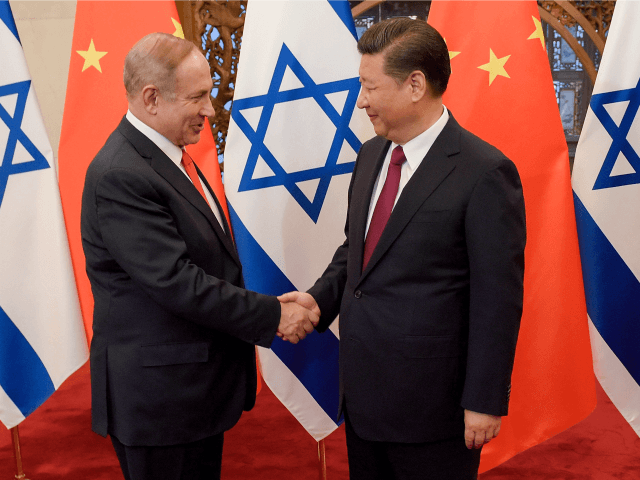 TEL AVIV – The head of Israel’s Shin Bet security service warned this week that massive Chinese investments in Israel could pose a danger to the country’s national security, a local news station reported Wednesday. “Chinese influence in Israel is particularly dangerous in terms of strategic infrastructure and investments in larger companies,” Nadav Argaman said according to witnesses at a closed-door speech at Tel Aviv University on Monday. In the same speech, Argaman warned of intervention by a foreign superpower in Israel’s upcoming elections. He noted planned takeovers by Chinese companies of major Israeli firms as well as a proposal to construct the upcoming Tel Aviv light rail and operate Haifa’s port. The U.S. Navy last month said it may pull its longstanding operations in Haifa port once a Chinese firm takes over in 2021. Argaman called on the Knesset to pass laws aimed at monitoring foreign investment in Israel. “Israeli law is lagging behind security needs in terms of supervision of investments by foreign countries, and this may be dangerous. Legislation is needed,” he said. Argaman’s concern, shared by other defense officials, led the Finance Ministry to overturn a deal to sell insurance companies Clal and Phoenix to Chinese companies in 2016 and 2017 respectively. During his visit to Israel last week, U.S. National Security Adviser John Bolton called on Israeli officials to curb market penetration of Chinese electronics manufacturers ZTE and Huawei, a US official said on Wednesday. Both companies have denied that their products are used for espionage. “We are all concerned about theft of intellectual property and Chinese telecoms companies that are being used by China for intelligence-gathering purposes,” said a senior administration official, according to Reuters. The report states that the administration does not want any obstacles to being able to share sensitive information with the Israelis, apparently referring to the concerns about Chinese technology and investment in Haifa port. Israel’s Transportation Ministry struck an agreement in 2015 with Shanghai International Port Group (SIPG) — a company in which the Chinese government has a majority stake — a deal that is now coming under inter-agency review. The Transportation Ministry committed a grave error when it chose the Chinese without consulting the National Security Council, the Times of Israel reported. According to the terms of the deal, SIPG would control the port for 25 years. The Shanghai company has a $2 billion stake in the project, including plans to convert the bay terminal into the largest harbor in Israel. Haifa, which is Israel’s largest port city, routinely hosts joint U.S.-Israel naval drills and visits from American vessels. During his speech on Monday, Argaman also warned that a foreign country was using cyber-attacks and hacking to intervene in Israel’s elections. “100 percent [redacted name of foreign country] will intervene in the upcoming elections and I know what I’m talking about, but I don’t know who will benefit,” he stated. Prime Minister Benjamin Netanyahu on Wednesday said “there’s no country more prepared than we are” in dealing with potential election hacks.